Consider this: he's written a volume of poetry based on Basquiat, a volume based on film noir, and most recently a volume based on the Amistad rebels. 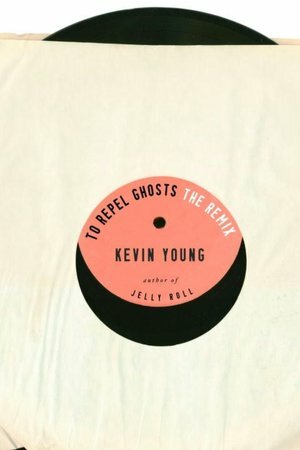 I imagine quite a few folks have diverse inspirations and eclectic visions, but it seems we have to give Kevin Young a little extra credit for the expansive nature of his originality in the conception of volumes of poetry, right? This dude is some kind of creativity machine. For more than a decade now, he's produced book after book and in the process has become one of our most consistently productive major poets. Sure, part of his success is based on the tremendous support that he has received from his publisher Knopf. Still, his ability to compose so many works offering fresh takes on history, music, and hard times is remarkable and dependable. Dependable in a high quality machine kind of way. Now, now...I imagine my reference to a real life poet as a machine could distress some folks worried about a world that seems to be hellbent on becoming increasingly post-human. But lighten up. I'm just being playful. Interestingly enough, playfulness and more specifically word play are central features of Young's poetry. He's always having fun with a turn of phrase here and witty statements over there. Even in his mournful poem "Bereavement" about the death of his father, he manages to amuse. Referring to the dogs that his father left behind, Young writes, "I’ve begun to think of them / as my father’s other sons, / as kin. Brothers-in-paw." I wonder if Young's playfulness helps to energize his productivity and creativity. Knopf's most famous poet, Langston Hughes, was known for writing all kinds of playful poems and for having an incredibly productive career. And for all the fiery politics linked to Amiri Baraka, he's at the same time known as playful in his words and deeds. He also happens to be one of our all-time most productive and creative artists. So maybe playfulness helps fuel creativity machines, you know, like the one responsible for producing an expansive and eclectic body of work that includes To Repel Ghosts, Black Maria, and Ardency. For more on the painter, see Artsy.net's Basquiat page, featuring his artwork.